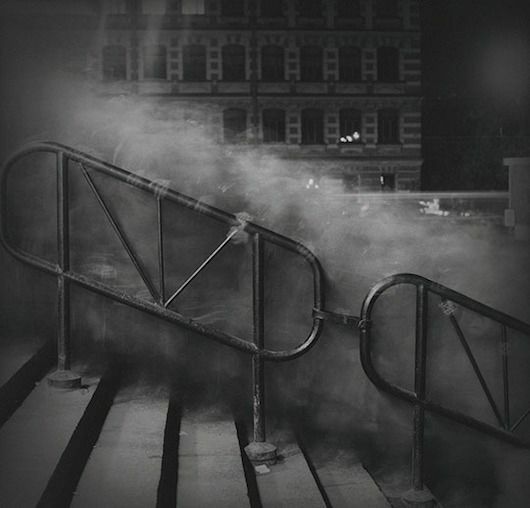 Photographer Alexey Titarenko specializes in spooky, black and white photography in cities around the world. 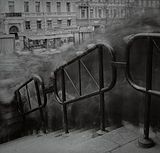 (Check out his Black and White magic St. Petersburg series for some stunners!) His most appropriate series for the season though is City of Shdaows. 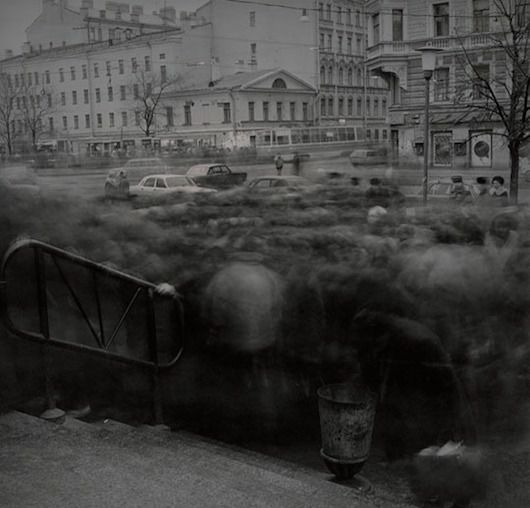 A haunting collection of long exposures that turn passing pedestrians into hordes of ghosts. 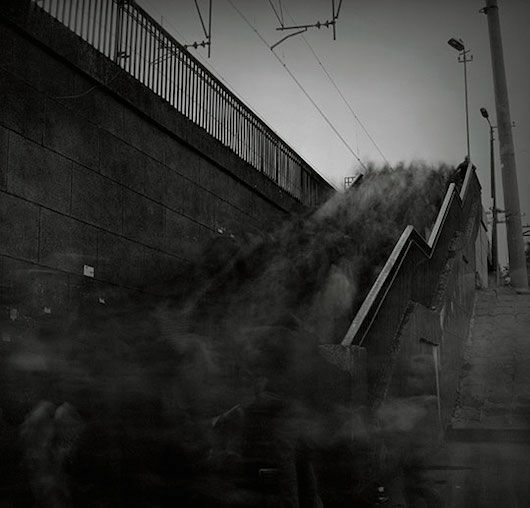 While they remind me of the demons in Supernatural, it is also seems almost like a visual representation of what it is like to suffer from social anxiety in cities...In Titarenko's own words, "the mass of people flowing around the subway station formed a sort of human tide, giving me a sensation of unrealness, of phantasmagoria, These people were like shadows, one would meet in the Underworld. I decided to express that feeling in my work, to convey my personal expressions. 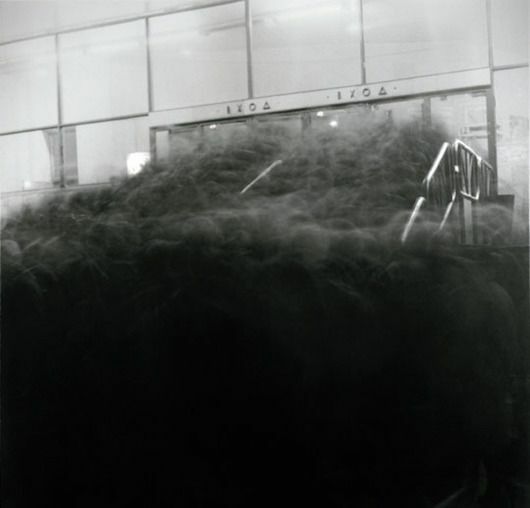 I had to find a visual metaphor that would enable the viewer to share my feelings as acutely as possible. 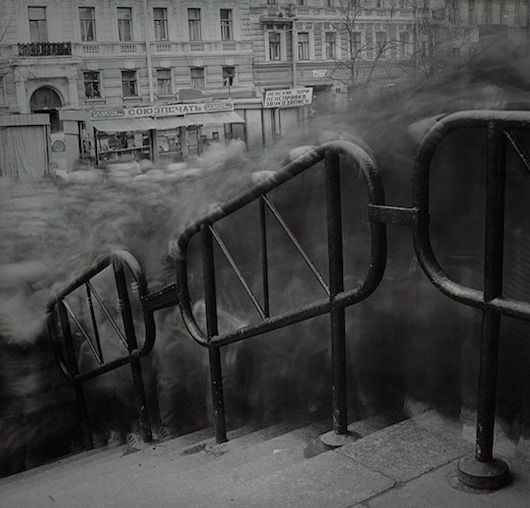 That is what prompted me to try a long exposure process."